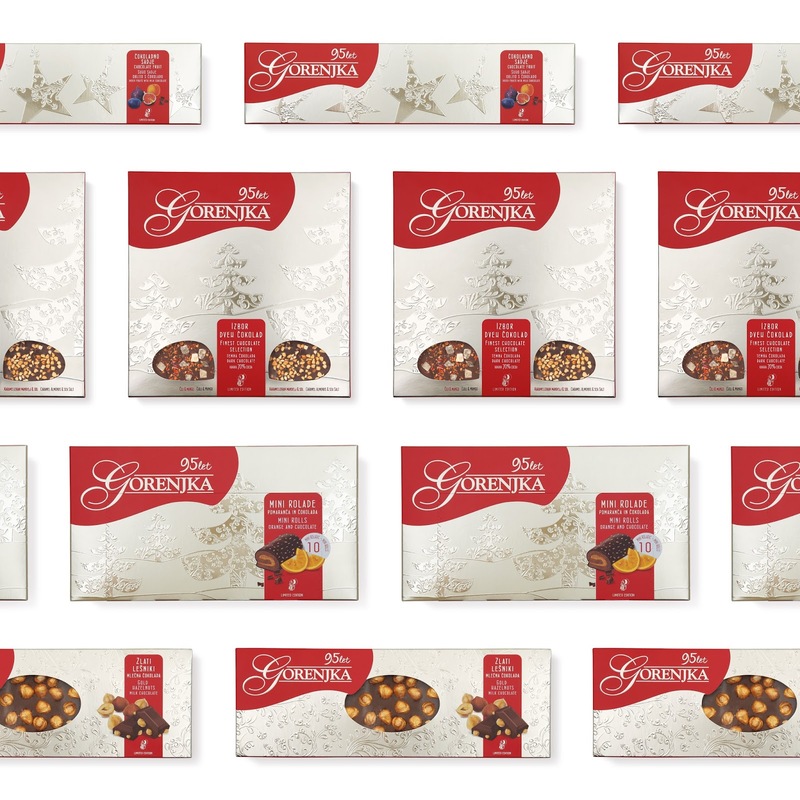 We changed the image of Slovenian Gorenjka chocolates for the holiday season. Since Gorenjka celebrated 95 years, the new design was inspired by tradition with some modern elements. The main pattern was taken from simbolic slovene fllower carnation which was through the lace used in different winter motives as cristmas tree and deer. 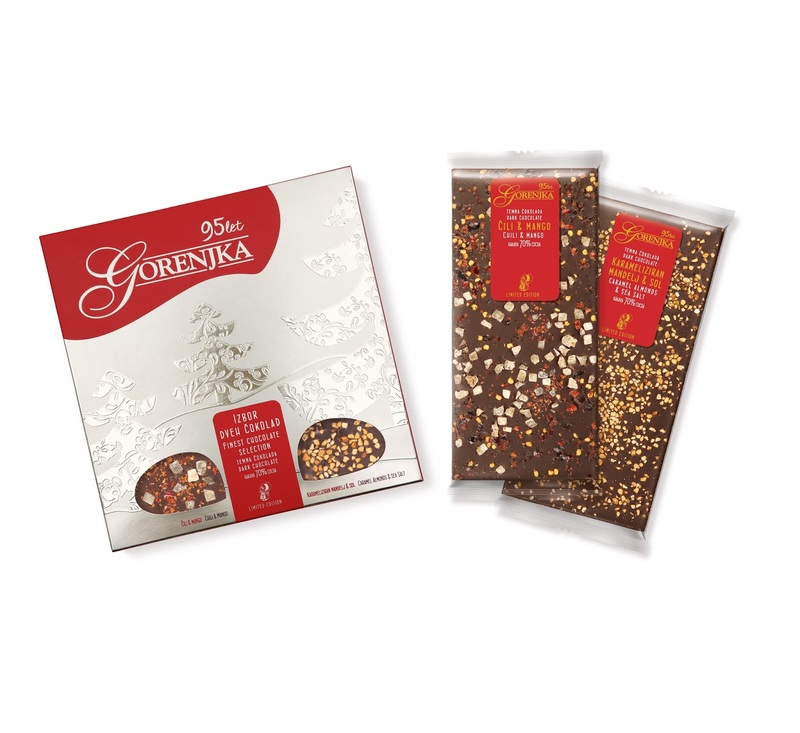 3D effect of gold colour reminded of glamour and feeling of the holidays, so the X'mas packaging of Gorenjka presented the perfect gift for all loved ones.